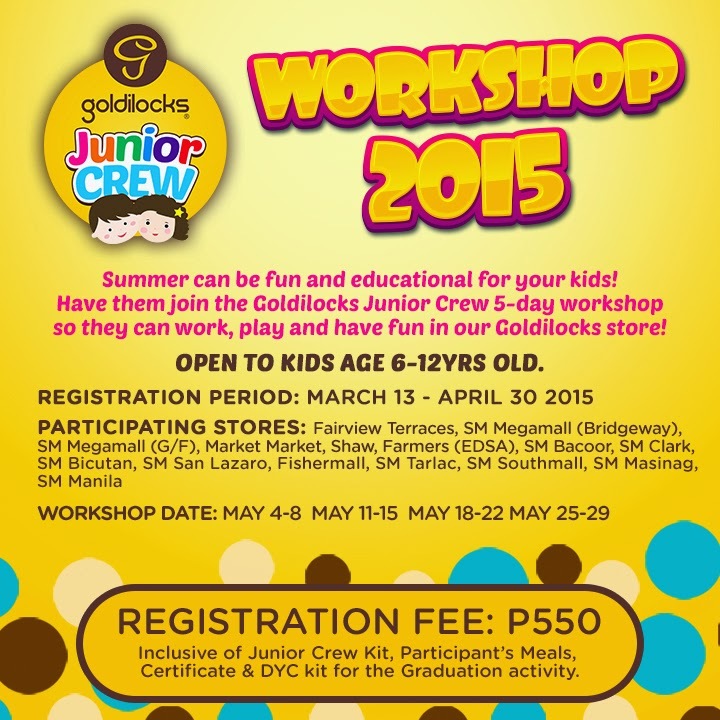 Summer or school break is just around the corner (What?! 2015 has just kicked in, and it's already summer?)! 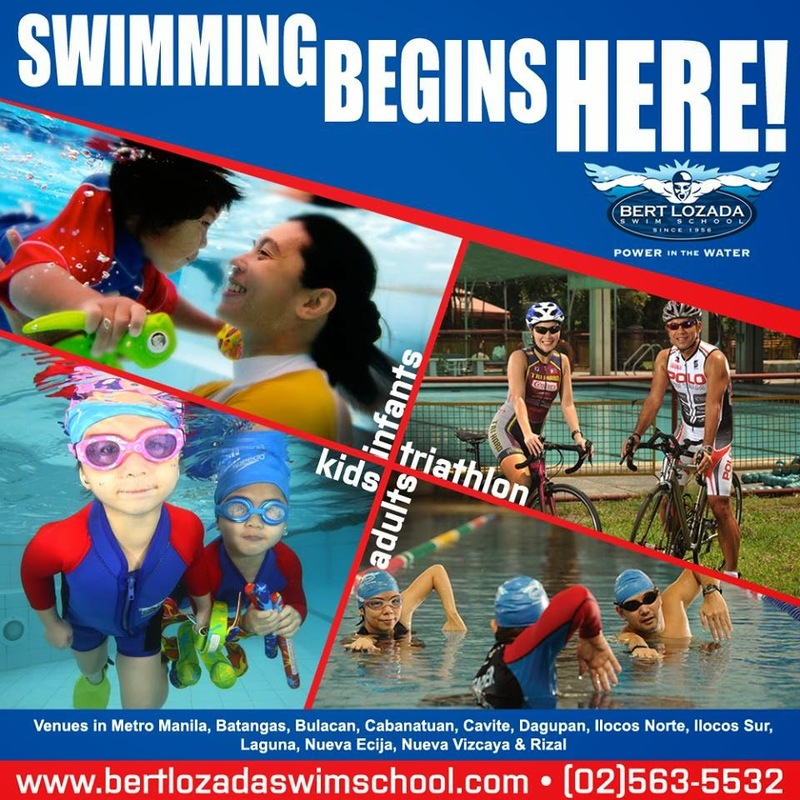 If like me, you're already thinking which summer workshops, lessons or sports clinics to enroll your kids, then this early compilation of summer activities in Metro Manila is perfect for you. I always believe in developing our children's multiple intelligence and this doesn't stop with academics alone. Let's keep them busy this summer by introducing them to new learning or mastering the skills or talents they already have and take it to the next level. 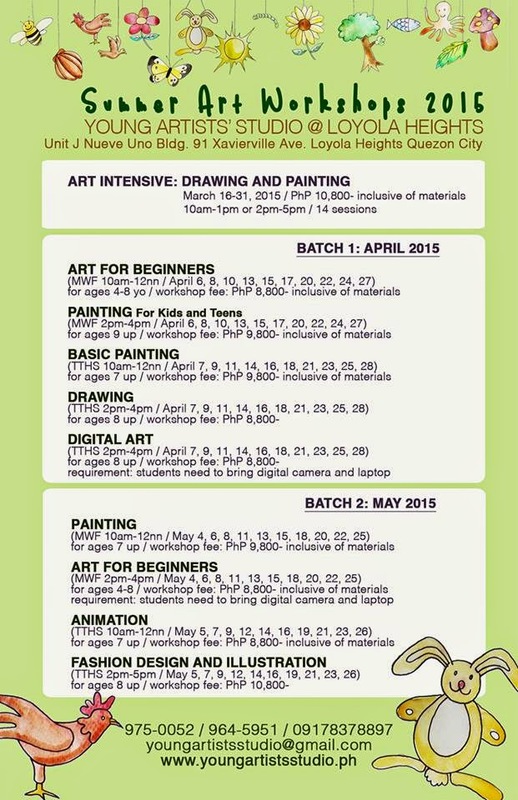 When: Registration is ongoing until April 30, 2015. 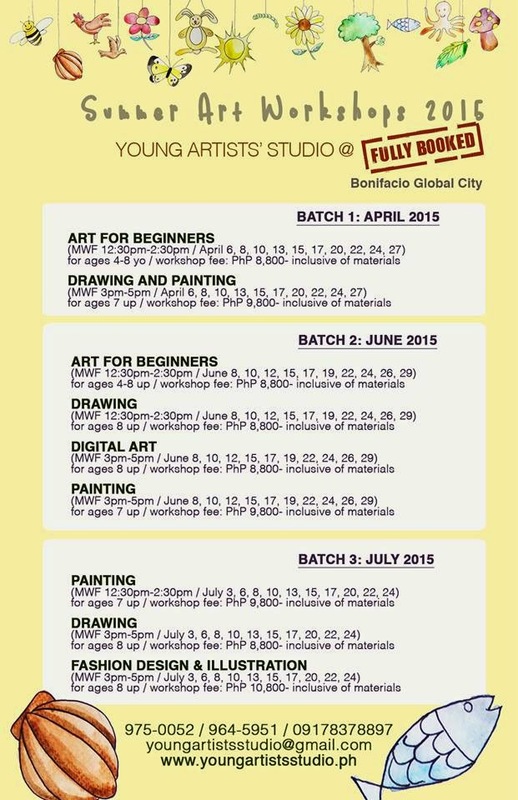 Classes start on May 4, 2015. 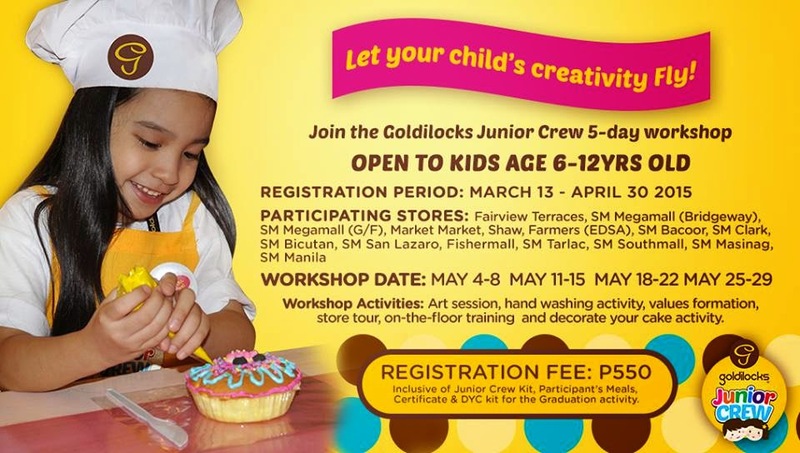 Please see below poster for list of participating selected Goldilocks venues. For more information, like them on FACEBOOK or visit their WEBSITE. 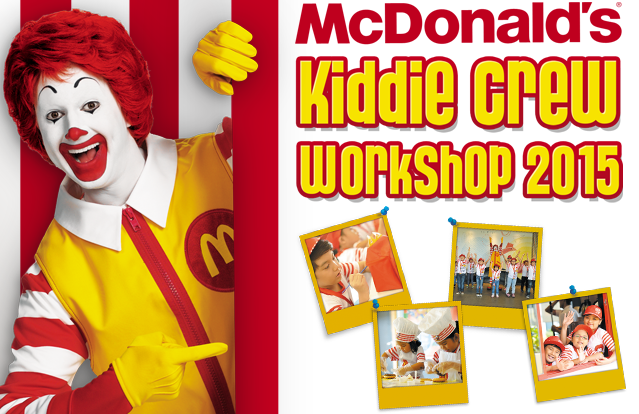 To download Registration Form and for more information, visit McDonald's website. Activities: Singing, Dancing, Acting, Drawing and Burger-Making. To know more, visit the nearest Jollibee store in your area. You may also download the form and get more information from Jollibee's website HERE. For more information, visit their WEBSITE or like them on FACEBOOK. You may also call them at 822-7068 or 775-4161 to inquire about classes or any event you are planning. Levels: Preparatory (5-9 years old), Levels 1 - 6. 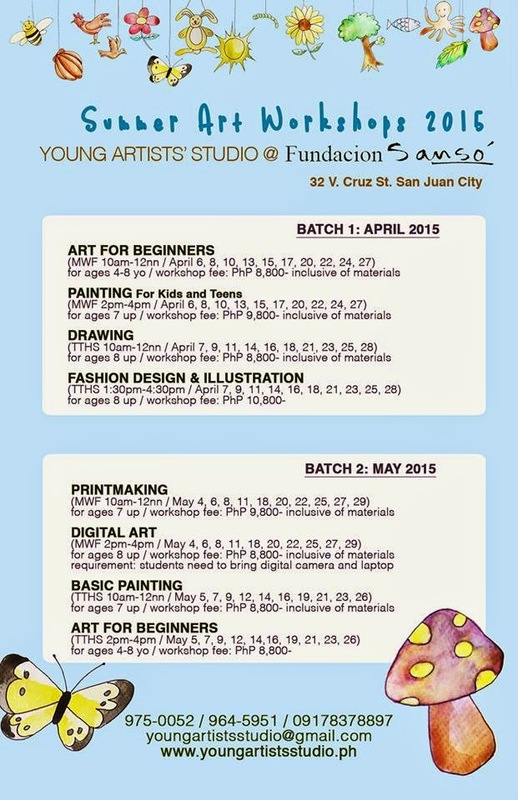 Registration Fee: Php 4,800 minimum 8 years of age. For more info, like them on Facebook, contact them at Tel Nos. 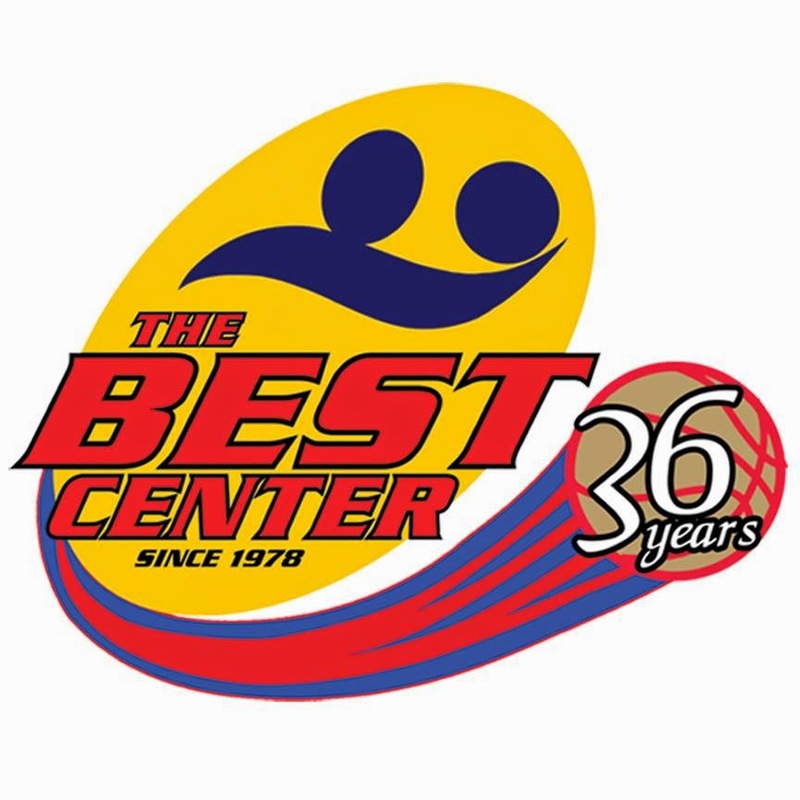 : 411-6260 3723066 or email them at bestcentersports@gmail.com. 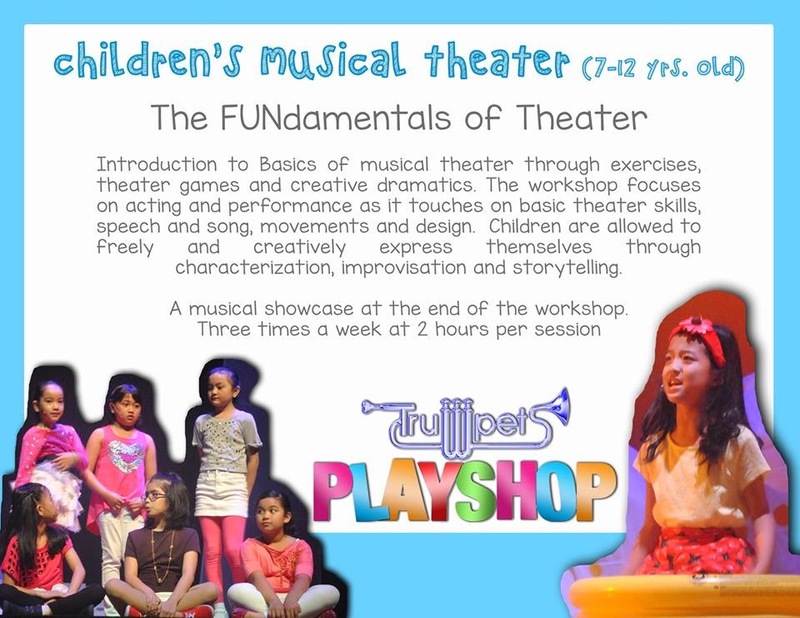 Rates: Lesson rates start from Php 4,000 - 5,000 for all programs except One-on-One sessions. Difference of rates depends on venue. For more information, visit their WEBSITE, like them on FACEBOOK or follow them on TWITTER. You may also email them at info@bertlozadaswimschool.com or call Tel. (632)563-5532 Cel. (63)917-700-SWIM South Branch: Tel. (632)800-1357 Cel. 0915-276-1400. 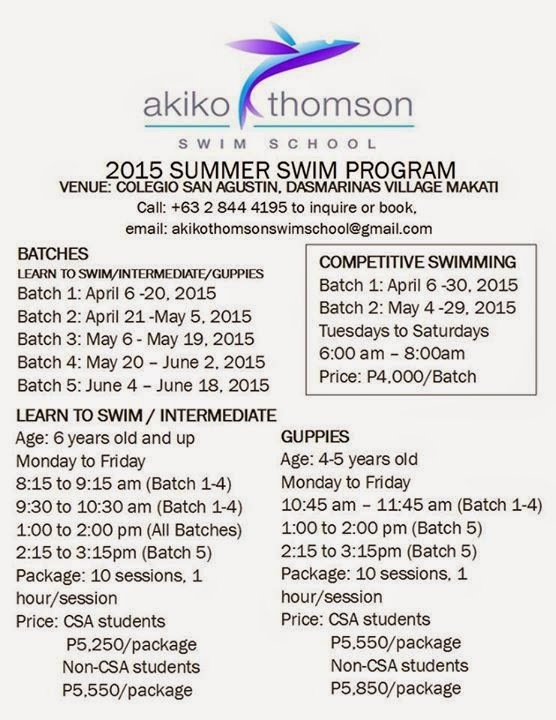 For more info, like them on FACEBOOK, email them at akikothomsonswimschool@gmail.com or call them at (632) 8444195. 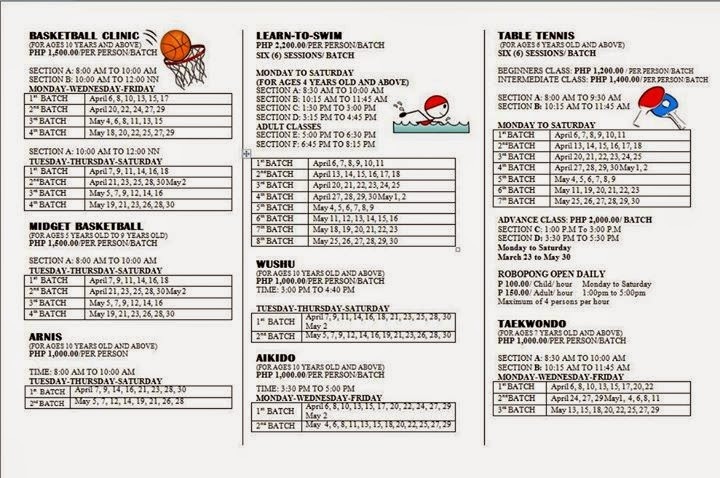 Venues: Kalayaan Badminton Center at Kalayaan Avenue and Xtreme Boxing Gym at Timog Avenue. Enroll this February and get 1 FREE Taekwondo UNIFORM* offer good until February 28, 2015. Free Yellow Belt upon taking the Promotion Test. 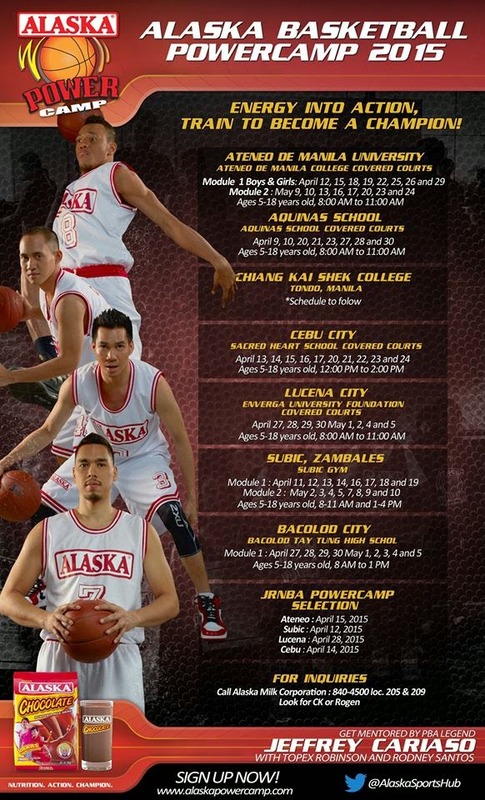 To learn more about our program call or text us and look for Coach Stauro at 09176657522 or like them on Facebook. For more information, visit their website, email them at futbolfunatics@yahoo.com or call them at 622-2898/ 0917-329-0011. Where: CCF Center, Frontera Verde, Ortigas Avenue Corner C5 Road, Pasig. Fees: Early Bird Rate: Php 1,500/kid (March 1 to March 15) | Regular Rate: Php 1,800/kid (March 16 to April 5) This fee is inclusive of daily snacks, sports bag, water bottle, camp T-shirt, camp button pins, extras, and quality sports training! How to register: Visit the CCF Center booth on Sundays, starting March 1 at the 2nd floor lobby or NXTGen Lobby Ground Floor. 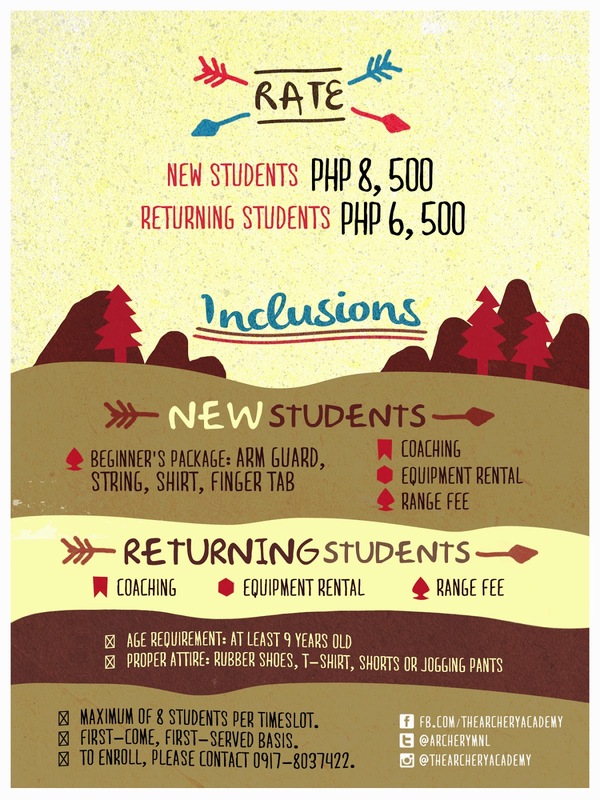 For more details please contact: 8669927 or text 0916-3463960. Class Fee for beginners include their own string, arm guard, finger tab and a shirt, which they will be using for the entirety of their Archery classes. For more information, like them on Facebook, follow them on Instagram or Twitter. 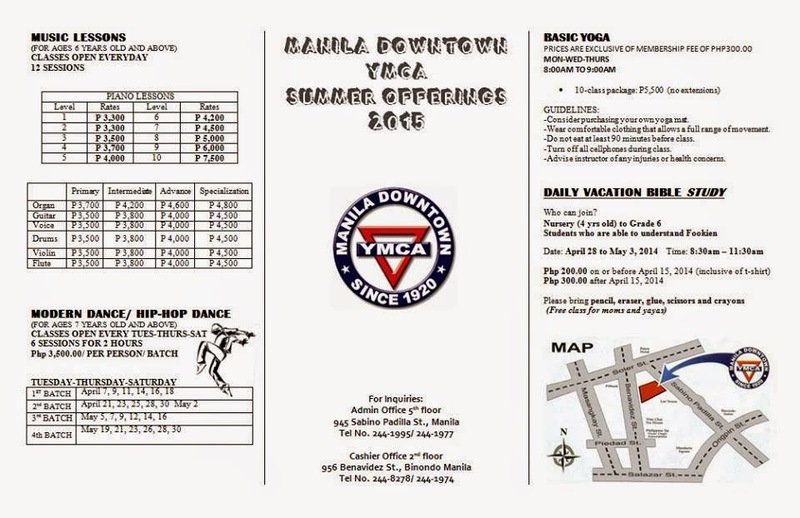 Manila Downtown YMCA is located at 945 Sabino Padilla Street, Sta. Cruz, Manila. You may contact them at Tel Nos. (632)244-1995;2441977;244-1974;244-8279. you may visit their WEBSITE or like them on FACEBOOK for more details and updates. 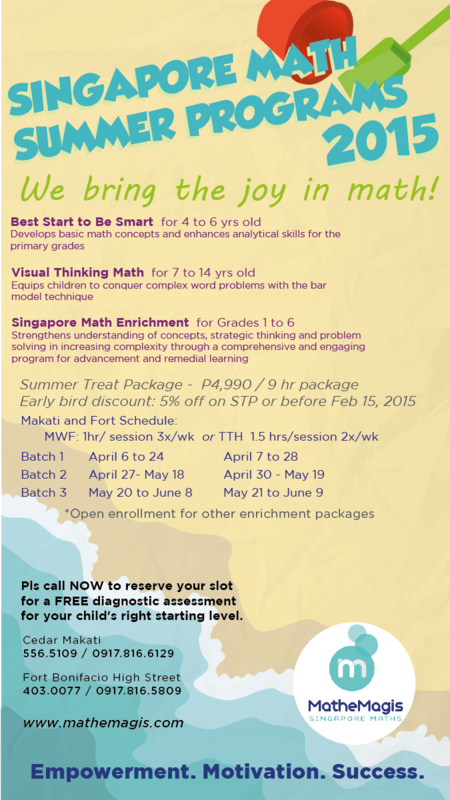 What: Summer Programs to aid in developing Excellence in Reading, Confidence in Filipino. Hear Me, Read Me: Blog and Feature Writing (ages 12 & up) Whether online or offline, good writing is critical to success. This workshop teaches the fundamentals of good writing and how to find topics that would interest an audience. 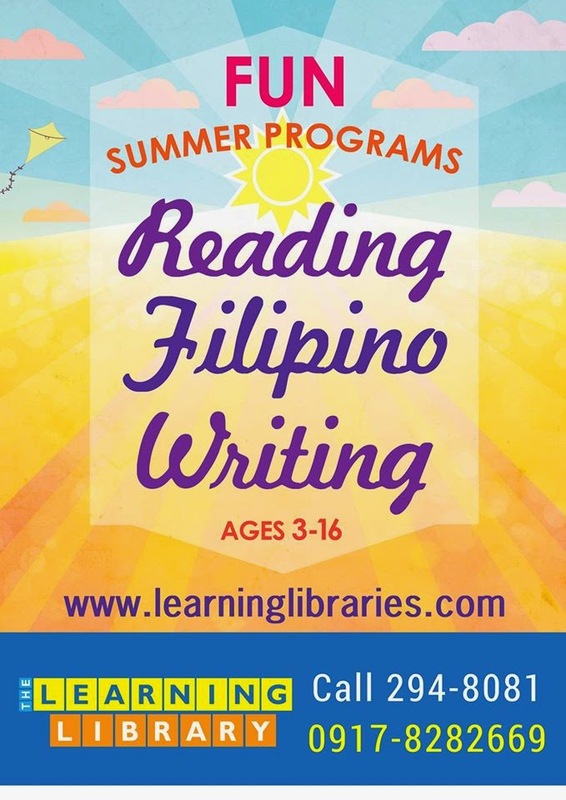 Beginning Filipino (ages 4-7) - This workshop builds vocabulary and listening comprehension through story read-alouds and interactive activities. Guaranteed to make learning Filipino fun! 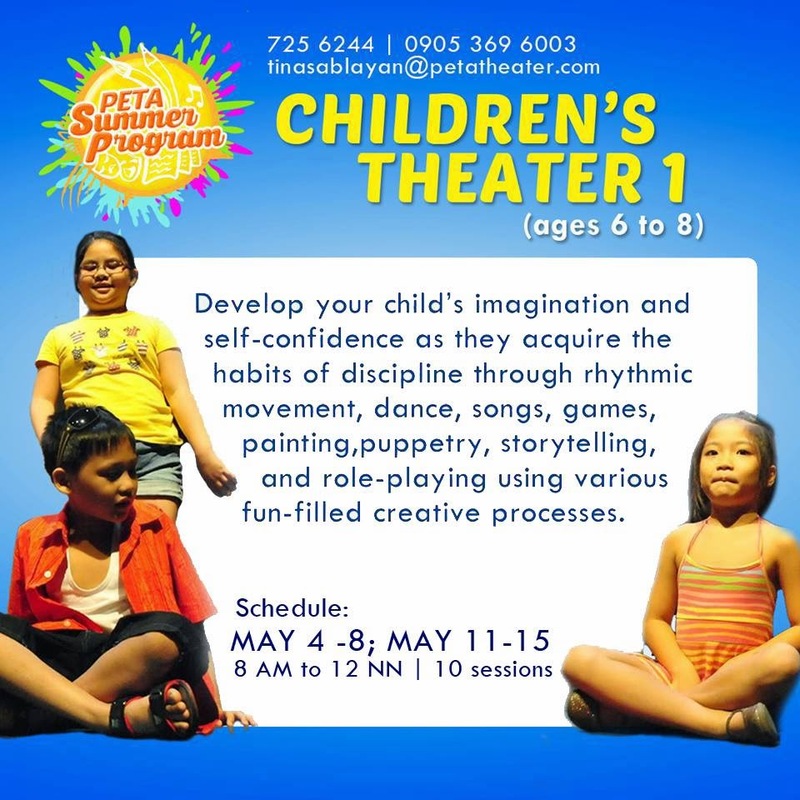 Filipino Communication Skills (ages 8-12) - Where there is genuine appreciation of culture, language learning becomes easier. 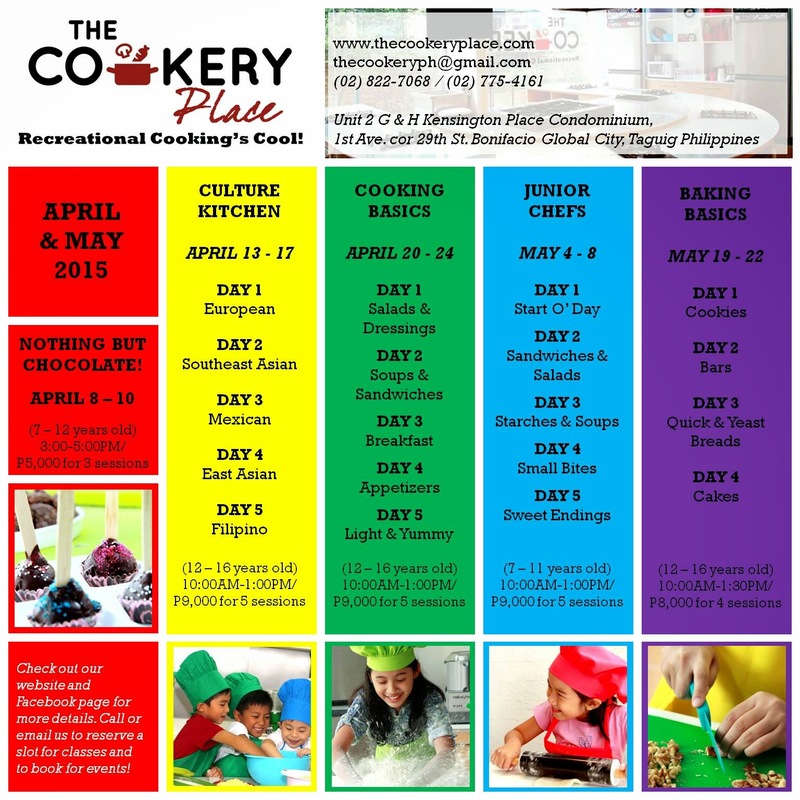 This interactive class develops oral language and comprehension while deepening awareness of Filipino culture. For more information visit their website or call the numbers on the poster below. Open for Cambridge and non-Cambridge students age 2.6 - 12 years old. CAMBRIDGE ROWLINGs (Little Authors and Illustrators) learn about creative writing and be involve in brainstorming, putting ideas together, drafting a storyline, creating illustrations, revising, and finally publishing a book. For 2.6 - 12 years old. 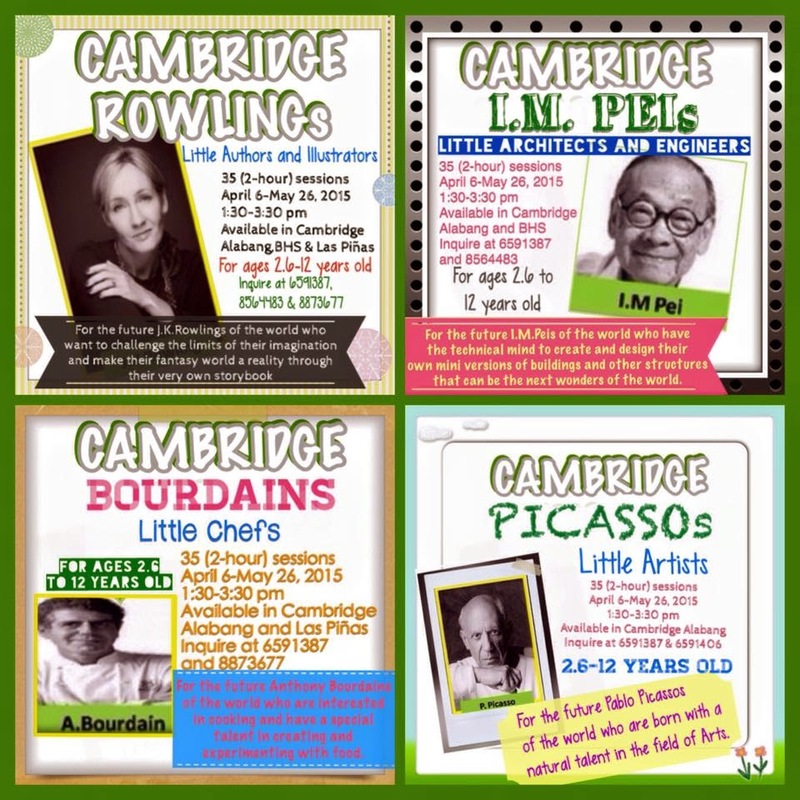 CAMBRIDGE BOURDAINs (Little Chefs)- learn about developing a recipe box and a well-balanced nutritious full course meal for their parents, cooking styles and food groups. For 2.6 - 12 years old. CAMBRIDGE PICASSOs (Little Artists) - learn about visual creativity and painting styles of renowned painters. For 2.6-12 years old. CAMBRIDGE I.M. PEIs (Little Architects and Engineers) - learn the processes involve in creating your own space, make a blue print and miniature model of your very own structural design. For 2.6-12 years old. For more information, visit their WEBSITE or LIKE them on Facebook. .
Class Fees: Php6,000.00 full course/Php3,500.00 half course. 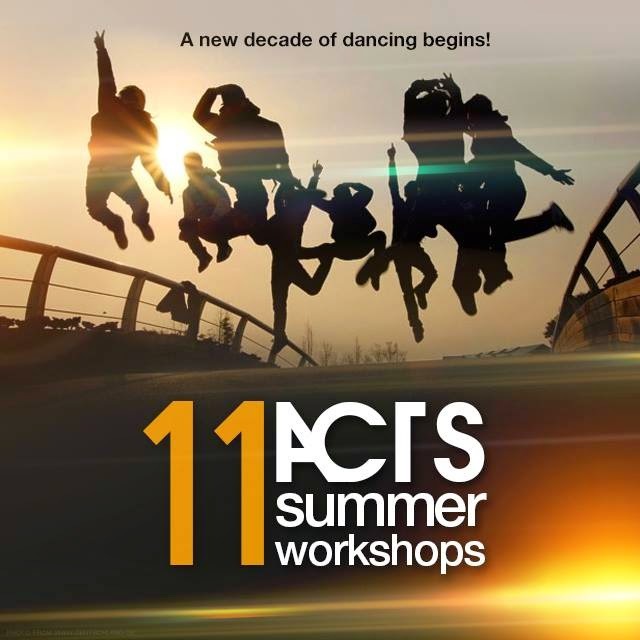 Register online: http://tinyurl.com/AATCSummerWorkshops2015 because slots are limited. 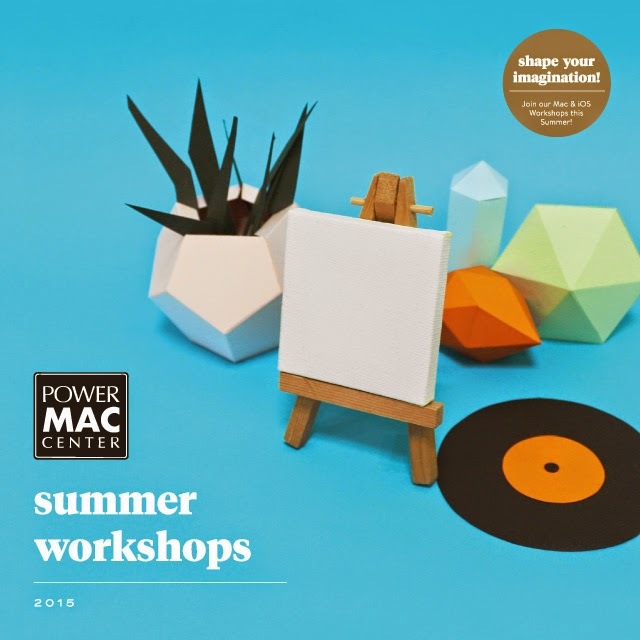 For more info, visit Power Mac Center TriNoma, Greenbelt 3 or the AATC Makati, email workshops@powermaccenter.com or call 553-4211 or 6399. 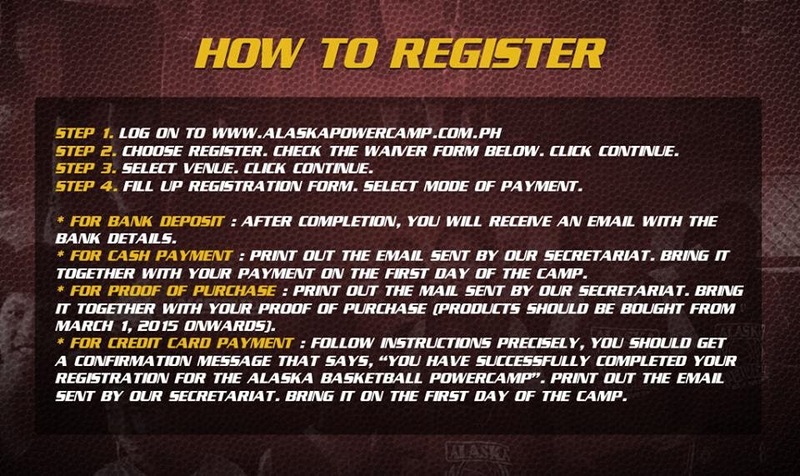 Registration Fees start from Php 1,900 - Phph 2,500 only. 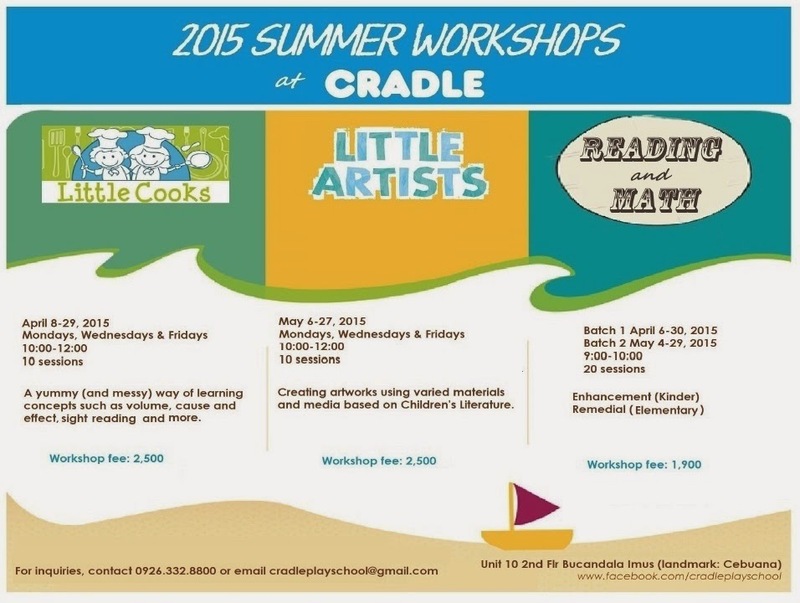 For more info, like them on FACEBOOK or call them at 0926-3328800 or email them at cradleplayschool@gmail.com. 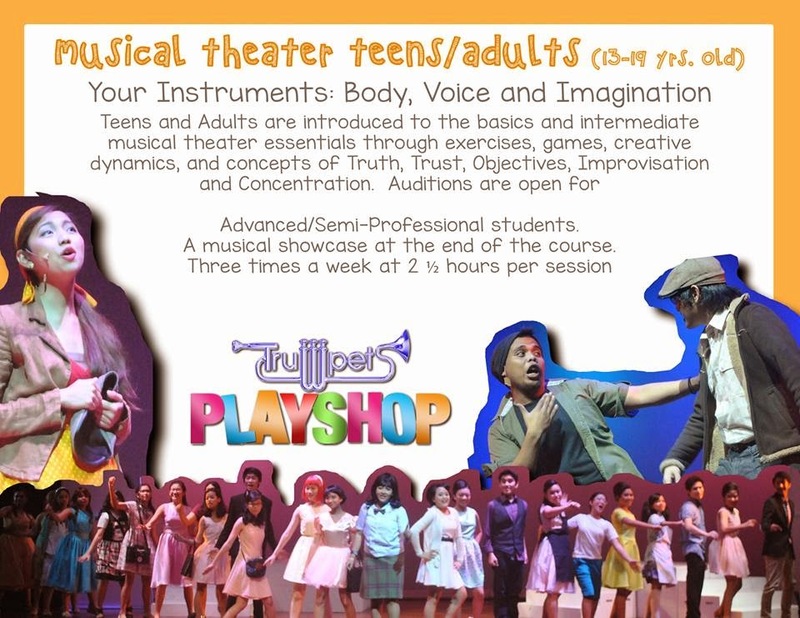 Courses Offered: Children's Theater, Children's Musical Theater, Musical Theater for Teens and Adults, Public Speaking & Hosting, Modelling, and Dance. Sessions: 10 sessions per course. For more information, like them on Facebook or visit their website. You may also contact Tina Sablayan at 725 6244 or 0905 369 6003. 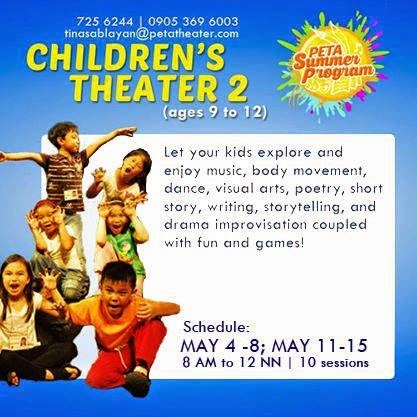 You may also e-mail your inquiries at tinasablayan@petatheater.com. 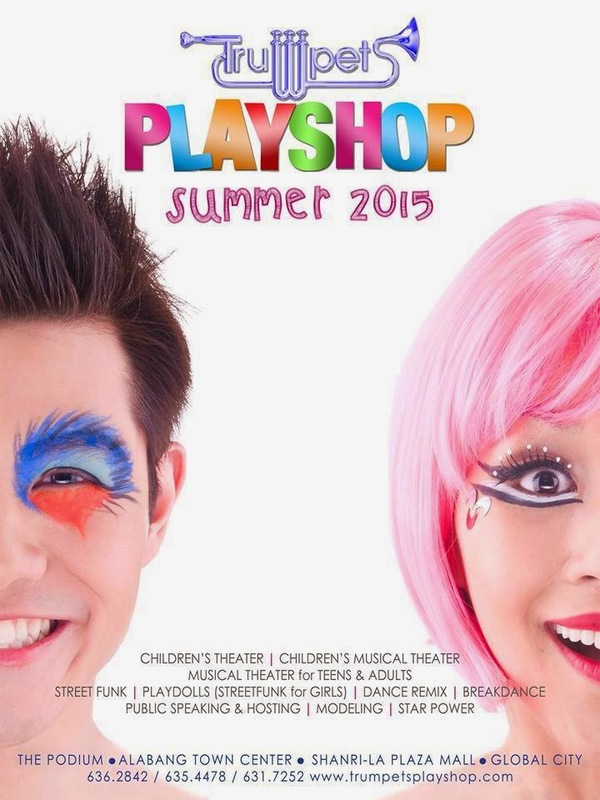 For more information, visit their Ballet Philippines' website or email ccpds@ballet.ph or call 833-3244 and 832-3689. For more information, visit their website, like them on Facebook or contact them through these numbers: Mobile: 0917-9237453, Landline: 719-4062. 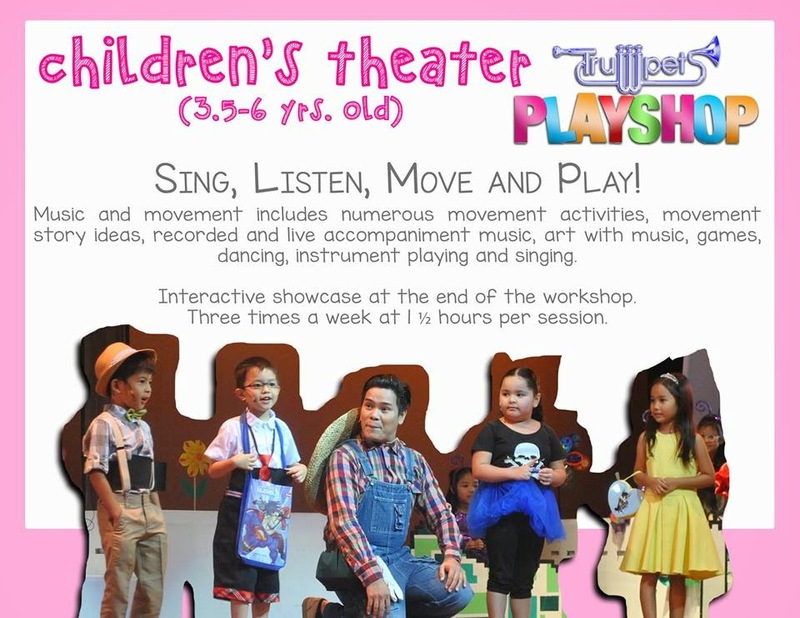 For inquiries, you may also email them at studio@actsacademy.com. 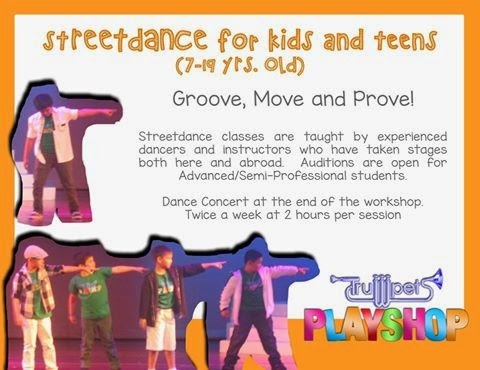 For inquiries, call: Tel: 750.1551 / Mobile: 0915.4478959 / 0919.4338565 / Email: kidsactsphilippines@yahoo.com.ph and look for Teacher Luigi or Teacher Eugene. For updates, you may also like them on Facebook. 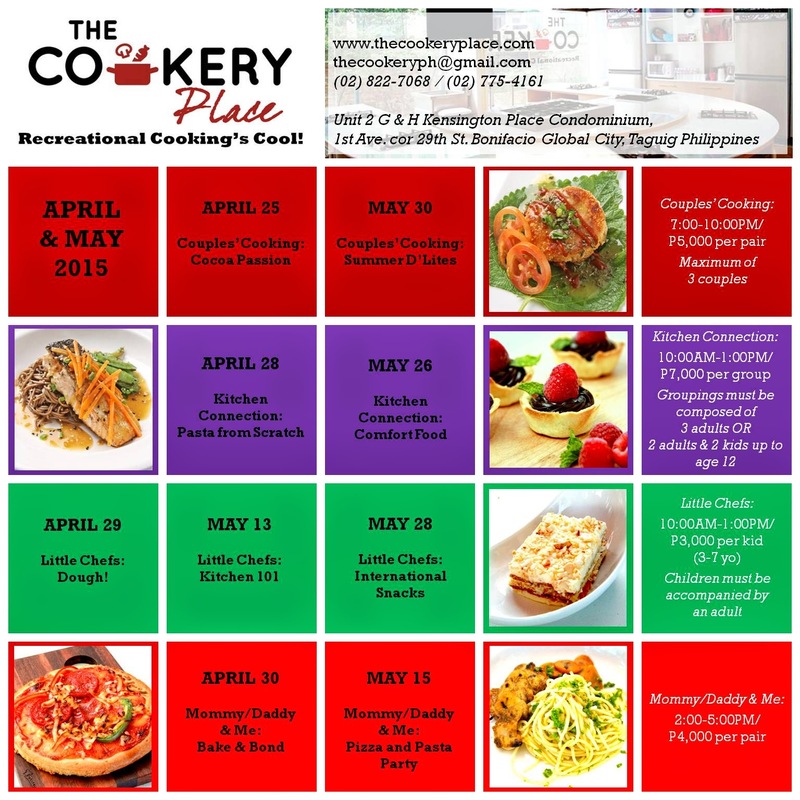 Venues: Fully Booked, BGC, Loyola Heights, QC, and Fundacion Sanso, San Juan City. For more information, visit their website HERE, like them on Facebook, email them at youngartistsstudio@gmail.com or call them 975-0052/964-5951/0917-8378897. 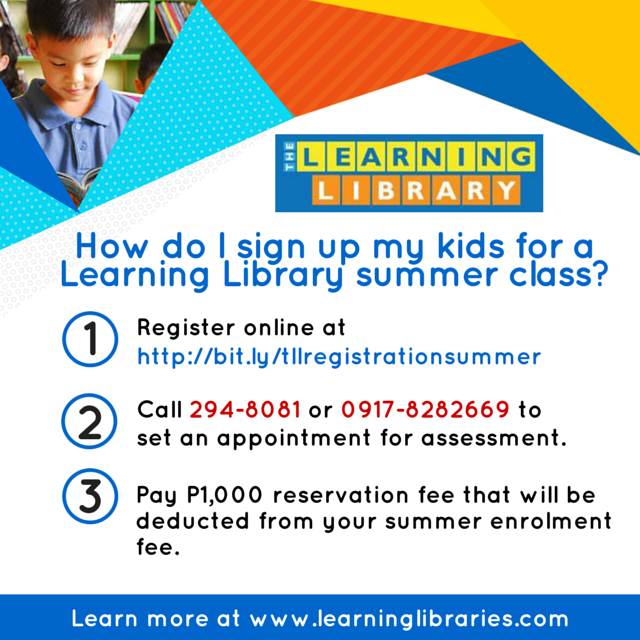 Whichever summer classes you enroll your child, whether it be to further his/her academic skills, develop his interests in sports or arts, as long as he/she is interested, it would work best for your child. Let's support our children's love for other areas of intelligence so we could watch them grow into a well-rounded individuals which will help him/her cope with the challenges of life. Hi Juan. I was struck by your letter, because I too earn more than my husband. I have to say though, that it has never been an issue with us. Marriage is a partnership, and it shouldn't matter who earns more, or who earns less. In this day and age, women are really more empowered, so I wouldn't be surprised if there are more marriages where the wife outearns the husband. It's not just you. There are many more of us out there. Don't be consumed with your thoughts of inferiority, because I'm sure you bring more to the table than you realize. You are not lazy and irresponsible. You work hard and you are a great father. Focus on your strengths, and work on them. My husband more than makes up for the fact that he earns less by being a loyal husband, a hardworking husband, a passionate lover, and a fantastic chef. Redefine your concept of macho. Believe me, as a wife and as a woman, there are more important aspects to being a "real man" than just making money. Guard your heart and mind, and don't let your insecurities poison what can otherwise be a harmonious and happy relationship. You really have much more control of the success of your marriage than you think. Good luck! Just be happy for them and still be proud because you have a successful marriage. Most of all, pray with ur wife.just help each other and be happy and contented,.. God bless your family. I hope my advice, though super late, would greatly help you and other readers. Dont overlook mental health. Isolating yourself socially and brewing certain feelings alone is not healthy and could lead to silent complications in the future. Dont get yourself buried. Would you like to face more problems in the future that can further hurt your self worth and pride? No! Accept your reality. Love what you have.. until you wont feel bothered with some things (like when you cant afford to buy a gift or being an underdog among your brothers and friends). If after trying, you are still bothered and do something. Find greener pastures (better work or a sideline -- working online is a good idea) or talk to your wife about your feelings. Trust in love. She is your other half.. why would she lose respect for you if you will open up your feelings? Worrying about making your wife and kids special is such a nice gesture.. do you know a lot of men cant thing such concerns? Even without money you could do something.. make yourself memorable. Cook for them, be generous with hugs, start a fun family tradition like holding game nights during Sundays. There are lot of things that can be done.. and i admire you for not giving up. One proof is going extra mile just to find more help -- you even spared time to find this blog and send a letter. I feel that you have a good heart and sincere intentions.. capitalize with what you have right now.. it may not be money then you have love and energy. Hi @SuperKates, thank you for taking time to say your piece of sound advice for our letter-sender and the readers who could relate to the story as well. I like what you said "Trust in love." Yes, cliche as it may sound, LOVE really moves mountains and is the foundation of everything a couple could achieve, surpass, and more. God bless you always and have a great day/week/year (in case I don't get to interact with you on the blog anymore - but hopefully will still do! )!